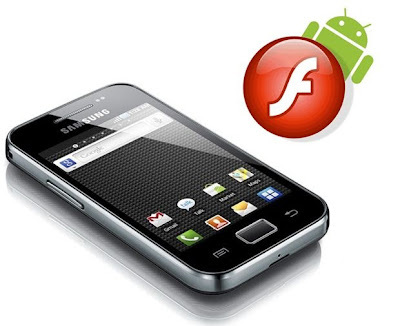 Want to enjoy Adobe Flash Player on your Samsung Galaxy Ace ? Now i will show a simple tutorial so you can install it right now in a few steps. Despite having more than two years in the market, the Galaxy Ace is still a very popular device. As you all know, even though new versions are coming out, Adobe has stopped supporting Flash Player for Android. However, this application is still required to run a lot of games and applications. So today i will show how to install Adobe Flash Player in Galaxy Ace. It is clear that for this process need to be root. Before I leave the links of the tools you need: Flash Player and any file manager for root users, here are two of the most popular but you can use whatever you like. Once you have downloaded Flash Player and the file manager can begin. 1.The first thing to do is install Flash Player as any APK (remember to have enabled Unknown Sources option to install apps that are not from Google Play). 2.Then copy the 4 files that have been installed: libflashplayer.so; libstagefright_froyo.so; libstagefright_honeycomb.so; libisshared.so. beam Once copied, you must go to the root folder of the phone and follow this path: Data -> data -> com.adobe.flashplayer -> lib . Once there, copy the four files. 3.Then, you must enable the permissions as shown in the video below (minute 1:50) in each of the four. 4.Ready! Now you can enjoy your Flash Player in Galaxy Ace !